RUTLAND — This replica of a farmers’ market at Wonderfeet Kids’ Museum was was one of the activities thatchildren enjoyed at the Building Bright Futures annual event “Just Play? No Way!” Wonderfeet Kids’ Museum will host an open house Tuesday, Dec. 2, from 5 to 7 p.m. at their new expanded location on Center Street in downtown Rutland. Come see exhibits in progress and learn about the planned expansion. 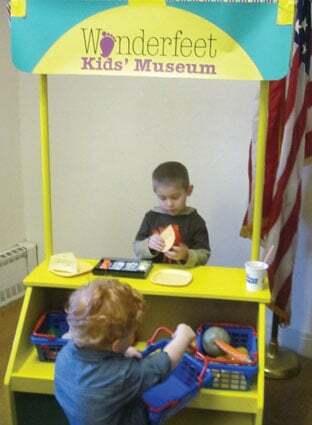 For more information visit www.wonderfeetkidsmuseum.org.